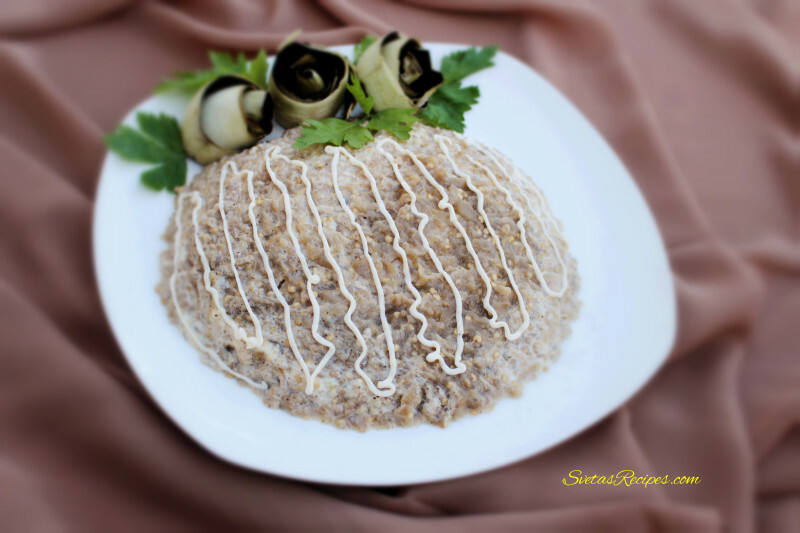 In a Ukrainian kitchen there are many different nationalities of food, This Israel salad with eggplants can be also used as a spread and includes garlic, mayonnaise and black pepper. It is commonly used as a spread for bread, I recommend a Italian bread or homemade. It is definitely a restaurant worth salad and deserves a lot of attention from your guests. All my guests were very pleased and surprised of what I managed to come up with in a small time period. Ingredients: 1.) Wash and dry eggplant and garlic. 2.) Peel and shred the eggplant. 3.) Place egg plant into a hot oiled skillet, add salt and mix. Place cover on top and fry for 7 min. 8.) 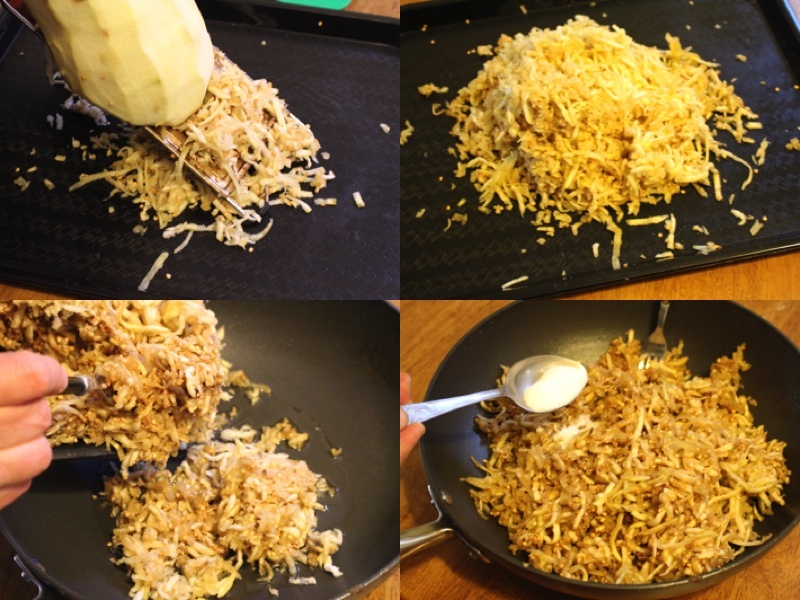 Place fried eggplant mixture into a bowl add mayonnaise, pepper, crushed garlic and mix together well. 10.) Serve on bread or a mayonnaise decorated plate. In a Ukrainian kitchen there are many different nationalities of food, This Israel salad with eggplants can be also used as a spread and includes garlic, mayonnaise and black pepper. It is commonly used as a spread for bread, I recommend a Italian bread or homemade. It is definitely a restaurant worth salad and deserves a lot of attention from your guests. All my guests were very pleased and surprised of what I managed to come up with in a small time period. Wash and dry eggplant and garlic. Peel and shred the eggplant. 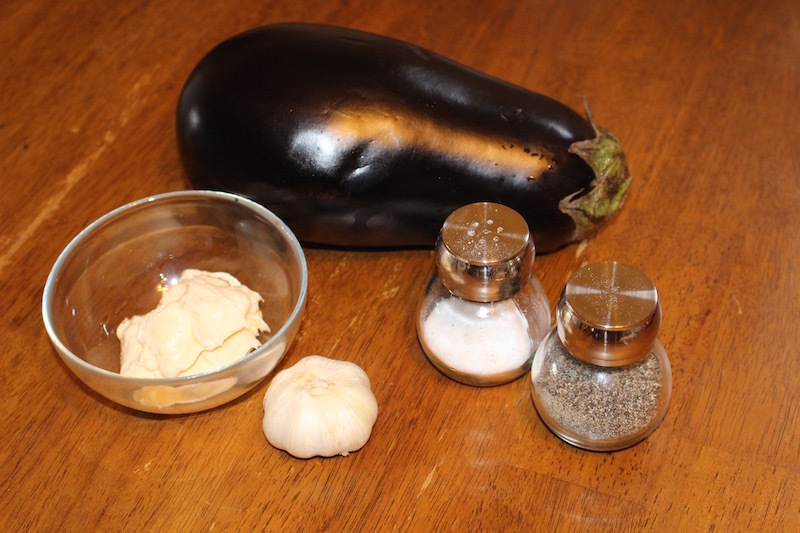 Place egg plant into a hot oiled skillet, add salt and mix. Place cover on top and fry for 7 min. 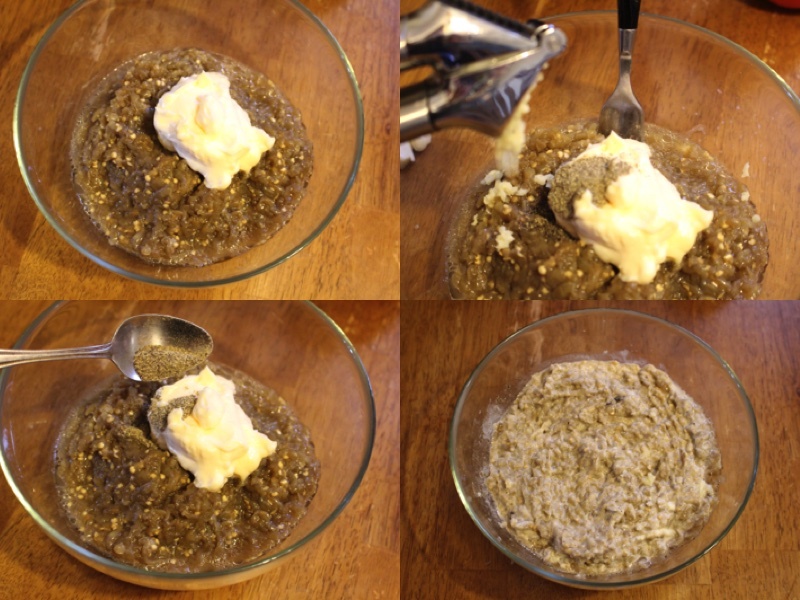 Place fried eggplant mixture into a bowl add mayonnaise, pepper, crushed garlic and mix together well. Serve on bread or a mayonnaise decorated plate.